Jen and Ink: New Lockets! I'm really excited and proud of my newest collaboration with the lovely Cat of Polarity. 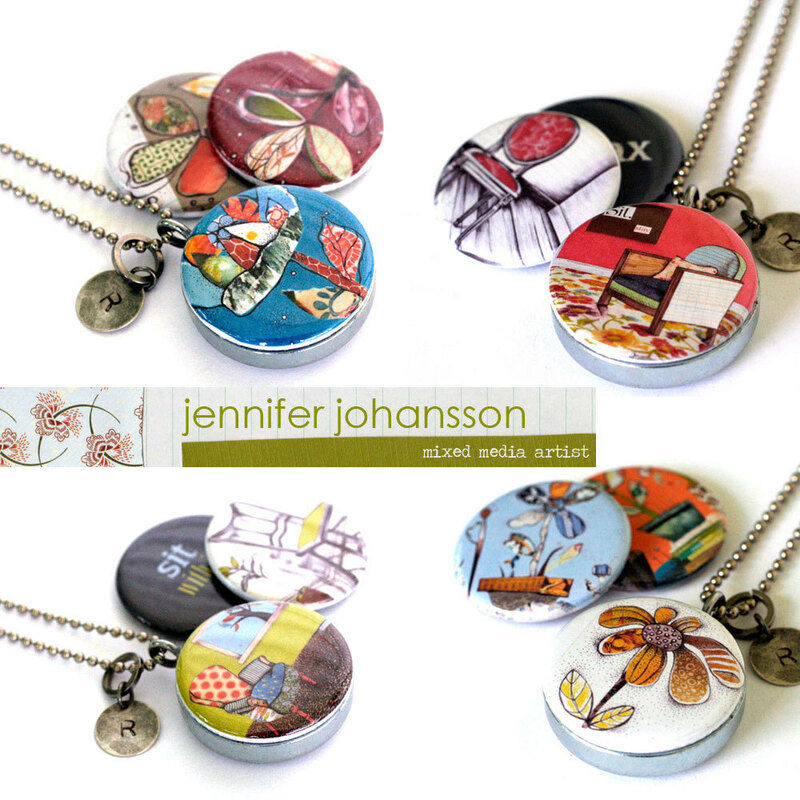 She's created 4 new lockets and a bracelet, all featuring my work. Each locket comes with an initial charm and 3 interchangeable magnetic faces. That's 3 necklaces for 1 price! Score! 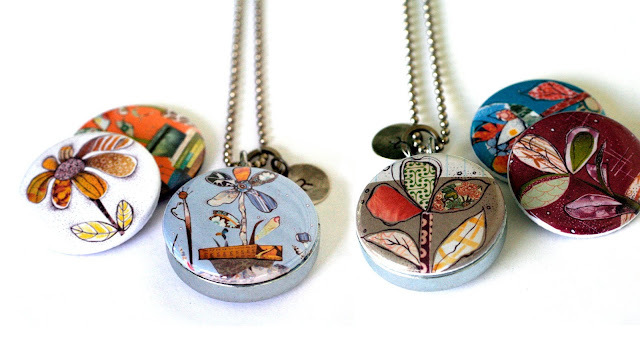 Two of the lockets feature floral designs. The other two feature my chair illustrations. The chair designs each come with a lid featuring an inspirational message. 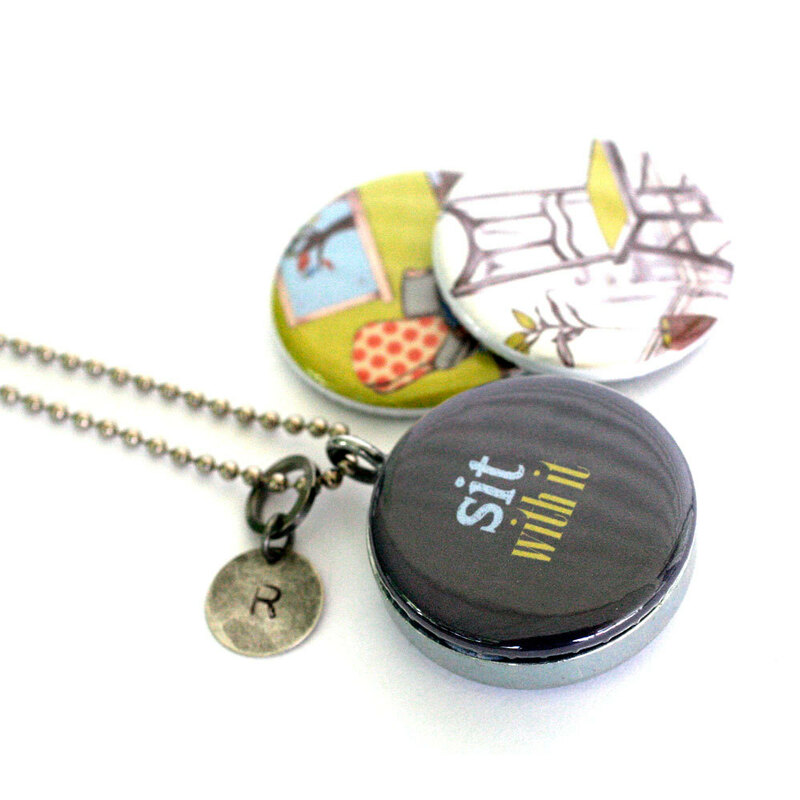 This locket is a great reminder to slow down, take our time and just sit with it! She's also created a bracelet! Cute, isn't it? 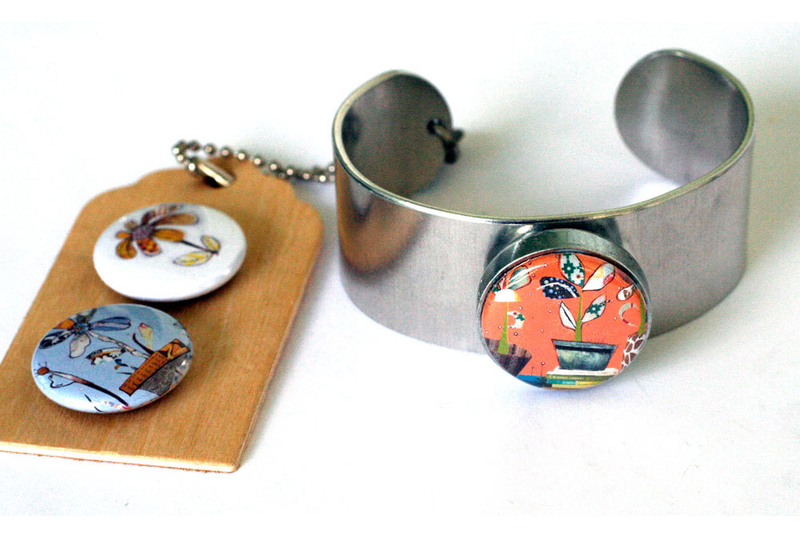 All of the new magnetic locket sets and bracelet can be purchased in Cat's Etsy shop. 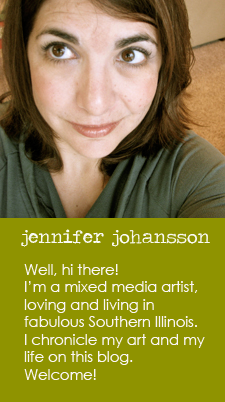 They ship directly from Cat's studio in New Jersey and she's ships crazy fast! Hope you love 'em.